“One of the things the pod does is let you get in and shut everything off for an hour or more,” Scott said. 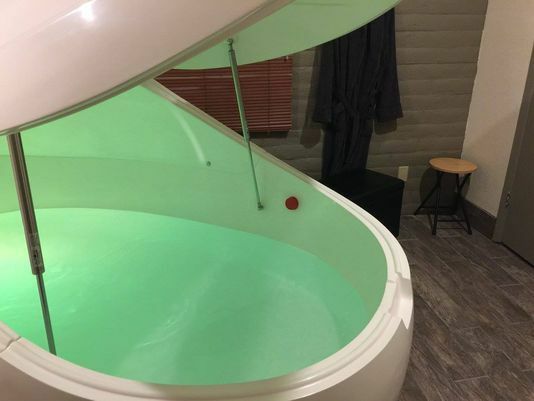 The idea to bring floatation tanks to Ruidoso was Scott’s. While working on a landscaping job in Branson, Missouri, he took the time to float at his friend’s floatation business. “We’ve already had local testimonial from RA patients that have had extreme benefits from this, in fact, one of our clients is starting to get feeling back in her fingers that she hasn’t had in over a decade,” Becky said.